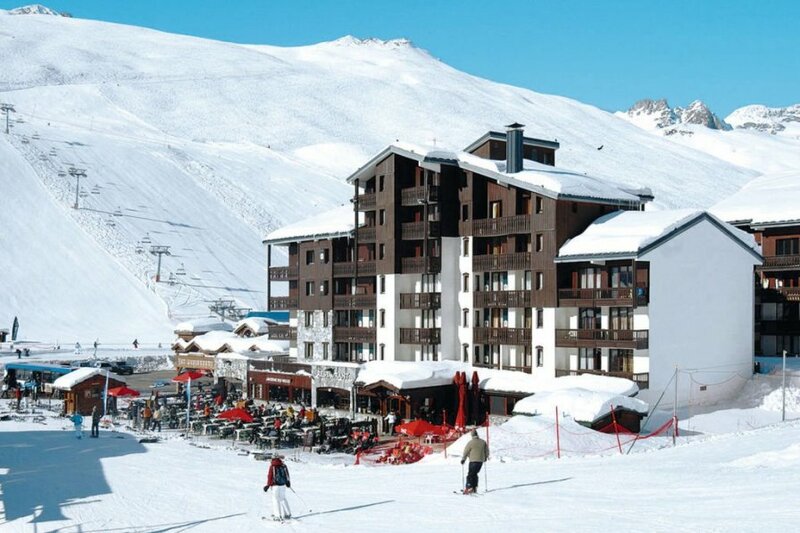 This 2 bedroom apartment is located in Tignes and sleeps 6 people. It has WiFi. Apartment, 4 - 6 people, 2.5 room/s, 2 bedroom/s, 1 bathroom/s, approximately 30 - 35 m², 1 floor/s, apartment on ground floor or upper floors. Feature: Property in a residence. Equipment: internet access Wi-Fi for 2 device(s) (payment); electric heating. € 1.40 per person and week (depending on occupancy). Final cleaning by tenants or against payment, € 67. Holiday resort tax. Linen/towels Bed linen available. Towels must be brought along. Towels available on loan, € 8 per person/​change (on order). Deposit € 300 (in cash, Visacard, Mastercard). Cot/​High chair/​Baby bath only within the maximum occupancy, € 25 per stay (on request). Pet 1 pet allowed, € 60 per stay (please advise prior to arrival; additional animals on request only). Internet € 8 per day. Situation: in the district Val Claret, altitude 2100 m.
Access/parking: access only for loading and unloading. Public car park (payment); public underground garage (payment). Infrastructure: reception service several hours only; internet access Wi-Fi (payment) in the reception area. The apartment is described as good value for money. This apartment is located in Tignes. The nearest airport is 133km away. It is set in a very convenient location, just 100 metres away from the skiing sport facility and only 200 metres away from the city center. The apartment has free wireless internet. The apartment is suitable for family holidays in the winter and summer; it is also suitable for elderly guests.